This is the official website of Jay Soul, a young singer-songwriter from the old school and an artist of fascinating opposites. Raised the eldest of three in a single-parent South London home, he has grown to become a highly successful IT professional with achievements that belie his years. Yet he is that rare individual, with the talent to turn a casual interest into a career in itself. 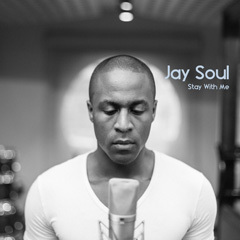 Having honed his rich baritone in a gospel choir and as backing singer for an array of established UK urban acts, he now feels ready to step up to the front of the stage, delivering self-penned songs about love, loss, pleasure and pain, mixing soul, nu-soul, Nineties R&B and house for a tale of two sounds: crisp, sunny and radio-friendly by day, and dark, deep and hedonistic by night. His sound is vivid, soulful early-Nineties, with highly personal lyrics delivered passionately, following in the footsteps of such trailblazing British independents as Omar and Lynden David Hall. Stevie Wonder, Brian McKnight, Jodeci and Dru Hill are all cited as influences, as well as poppier, more contemporary artists in the mould of Beyoncé. Production values are important but not at the expense of the quality of the raw material, a refreshing antidote to the recent trend for glossy, over-produced beats and auto-tuned vocals, and size-zero subject matter. The opposite of an X-Factor hopeful, Jay Soul is measured, mature, focused and ready, with his own story and the skills to bring it to a wide audience. Record-label manufacturing has styled all the soul out of much of today’s music, but Jay Soul is bringing it back, raw, unstyled and almost punky, in jeans and a t-shirt.